Enjoying retirement is part of the American dream. In preparation for this milestone, many imagine the activities they will do, whether or not they will relocate and what exciting trips they might take. But other considerations that some might fail to think about are whether they're fully prepared for both the planned and unexpected expenses that can occur after leaving the workforce. You may feel ready for retirement emotionally, but are you truly prepared financially? Planning for retirement can be complicated. Recent research by my company, Ameriprise Financial, found that on average, Americans nearing retirement report a gap of nearly $200,000 between what they have saved for their retirement and what they believe they will actually need to live comfortably in retirement. According to the same survey, many Americans also lack confidence about being able to cover the necessary expenses in retirement such as housing, food and taxes. Covering essentials. Essential, or basic, expenses are at the foundation of any retirement strategy and include ongoing necessities such as food, housing, taxes and medical expenses. Because economic conditions are uncertain, your goal should be to cover these essential expenses with solutions that offer a guaranteed or stable income. Examples of guaranteed or stable income include social security or a defined benefit plan. Ensuring your lifestyle. Most people planning for retirement also have additional lifestyle goals they want to pursue, such as travel, hobbies and spending more time with family. Consider working with a financial professional to develop a strategy to cover the expenses that result from your lifestyle goals. Taking steps to match which assets you will use for which expenses during retirement can help you feel more confident about being able to do the things you need and want to do in the future. Preparing for the unexpected. Unanticipated events can have a devastating impact on retirement plans. 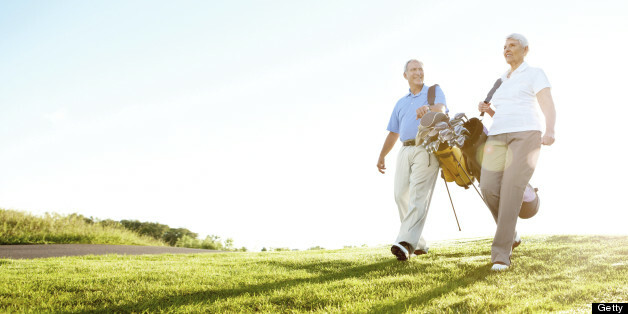 Be sure to develop a game plan to navigate any bumps in the road that may occur during your retirement. Medical expenses, personal liability, supporting a family member and loss of a spouse are some of the most prevalent unanticipated events. Ensuring you have proper insurance in place and developing plans "B" and "C" can make all the difference in your financial security if one of these events happens to you in the future. Leaving a legacy. After you have accounted for essential and lifestyle expenses and have factored in how you'll cover the unexpected, it's important to create a legacy plan for any of your remaining assets. Having a plan in place to transfer assets effectively to your loved ones and to the causes or organizations that are important to you can help give you peace of mind as you age. It is prudent to acknowledge the possibility that you may experience mental or physical decline during your retirement; to help ensure that your assets are utilized according to your wishes, work prepare a limited financial power of attorney, a healthcare directive and a living will. Many financial advisors use the four principles outlined above as a framework to help their clients work towards a more confident retirement, even if they're starting later than planned. It can be overwhelming to consider all aspects of preparing for your financial future, but you likely won't regret doing so. Sitting down with a pen and paper, and perhaps a financial professional, can be extremely beneficial as you set goals and plan for this major life milestone.